PPS belongs to a kind of Power Supply type supported in USB PD3.0, it is a kind of charge standard that can realize voltage and electric current to regulate using USB PD agreement output, PPS standard has integrated the high-pressure low current, low voltage and high current two charging modes at present, Therefore, this kind of charging standard has very good compatibility; in addition, the PPS specification can also fine-tune the output voltage according to the power of the device, so as to achieve higher efficiency and lower temperature rise. Recently, the USB-IF Association announced the list of newly approved USB PD protocol chips and products. As the latest charging standard in the USB PD protocol, USB PD3.0 (PPS) has always been a concern. Let's take a closer look at what the current USB PD3.0 (PPS) chips and products are certified by the Association. Through the screening statistics of the charging head network, it was found that the earliest chip that achieved USB PD3.0 (PPS) authentication was Renesas Renesas Electronics’ R9A02G011. From December 2017 to May 2018, a total of 19 chips and products have been certified by the association's USB PD3.0 (PPS) in the six-month period. There are many well-known Weltrend Wei, VIA Wei Feng, Richtek legislation.锜, Leadtrend, TSMC, NXP, NXP, Cypress, and other chip manufacturers. 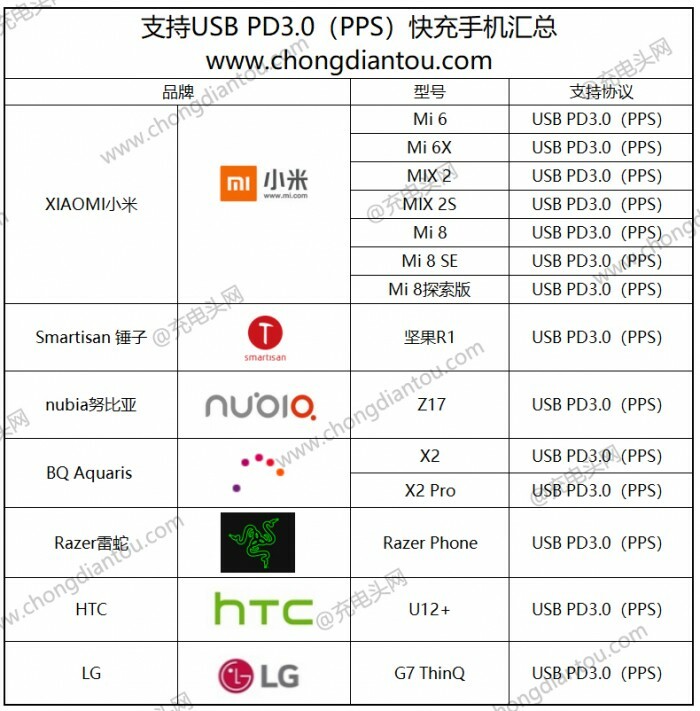 In addition, according to incomplete statistics of the charging head network, there are currently 14 brands of 14 mobile phones on the market that can support USB PD3.0 (PPS) fast charging. However, most of the above mobile phones do not come standard with USB PD 3.0 (PPS) chargers. Users are eager to use the latest charging technology. There is a large demand for USB PD3.0 (PPS) related charging accessories. With the popularity of USB PD fast charging and Qualcomm QC4+ fast charging, there are a number of devices on the market that support USB PD fast charging, and even many mobile phones have taken the lead in supporting the USB PD3.0 (PPS) protocol. With the continuous increase, the entire USB PD fast-charged ecology has already reached a certain scale, and the market prospects are hot. 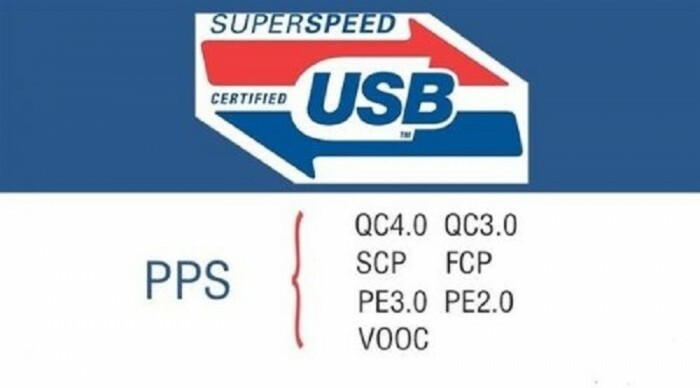 From the data, it can also be seen that only 10 chips have obtained the Association's USB PD3.0 (PPS) certification since the first half of 2018 (certification,DevelopmentExcluded from the above, it can be seen that the control of the market for the original factory is very accurate; at the same time, with the commissioning and application of these authentication chips, I believe that it will not take long for the charger, car charger, and mobile power supply on the market. It will usher in a large-scale update. The USB-IF full name USB Implementers Forum is a non-profit organization founded by a group of companies that developed the Universal Serial Bus specification. The establishment of the USB-IF organization aims to promote universal serial bus technology and provide corresponding technical specifications to promote the development of high-quality USB peripherals (equipment), so that the compliance of the products through the compatibility test. Since its establishment, USB-IF has contributed to the development of the USB interface, especially the popularity of the USB Type-C interface and the Power Delivery (PD) transmission protocol based on USB Type-C, which has spared no effort. What are the support for Apple iPhone fast charging chips?